Benalmadena has a host of Mediterranean cuisine restaurants, seafood restaurants and beach bars / restaurants to enjoy a good meal while lounging in the sun and the beach. 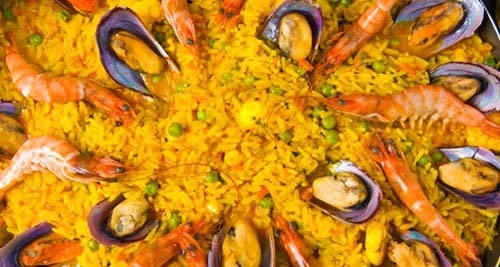 Find below some of the best restaurants in Benalmadena. Its location, on the road from Arroyo de la Miel to Benalmadena Pueblo, gives spectacular views of the sea and the pleasant surroundings of Benalmadena Golf. Casa Fidel offers traditional Andalusian cuisine with a good selection of fine seasonal produce. 952 44 91 65 ? Situated close to Tivoli, this pizzeria is located in the mall Las Ventas. All meals are prepared at the restaurant, thus its choice of dishes is unique and different from other restaurants. Restaurant specialized in fresh fish, seafood and grilled meats. 952 56 02 39 ? Feel free to add in the comments your favourite place or give your opinion on any of the listed restaurants in Benalmadena.